The Williamsburg Triangle (also known to some as the Historic Triangle) encompasses three sites of huge historical significance. 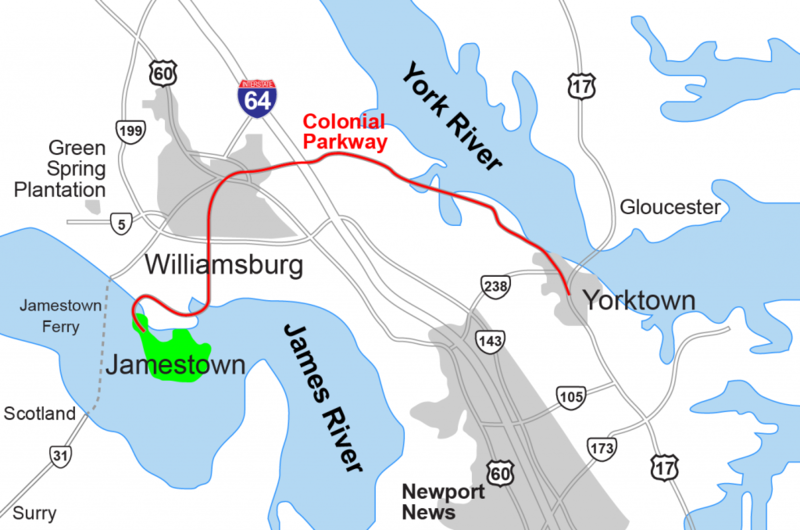 Located on the Virginia Peninsula, the triangle is enclosed by the famous York and James Rivers on either side and features Jamestown, Yorktown and Colonial Williamsburg at its points. The easiest way for most international travellers to get to Williamsburg is by flying into Dulles Airport in Washington DC. It’s then a three-hour drive South into Williamsburg itself. There are smaller airports that are closer, and it’s possible to get a connecting flight from Washington to Newport. The drive itself is fairly leisurely and once you leave the outskirts of Washington (the airport actually falls under the border limits of Virginia and not the District of Columbia), its a scenic jaunt into American history. 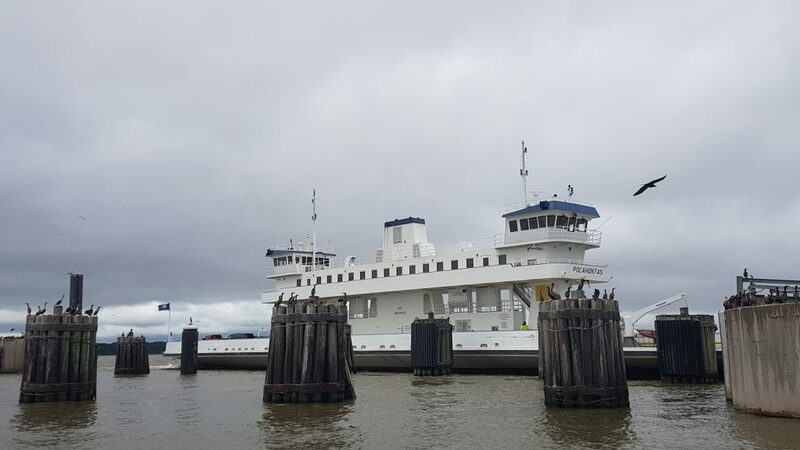 You can’t quite sail into Jamestown as the original English settlers did, but there is a Jamestown Ferry that still operates across the river to give you a sense of what it must have been like. 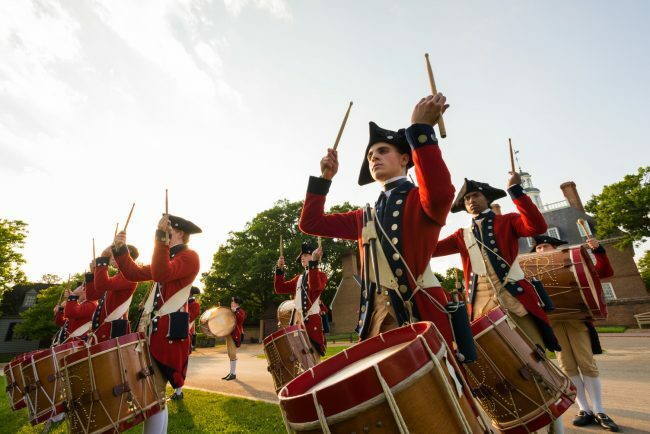 Better known as a travel destination for its beaches in the south and hipster culture in the north, the real heart of Virginia lies in Williamsburg, a relatively small area on the Eastern side of the state where towns such as Gloucester, Scotland and Surry give away its origins. 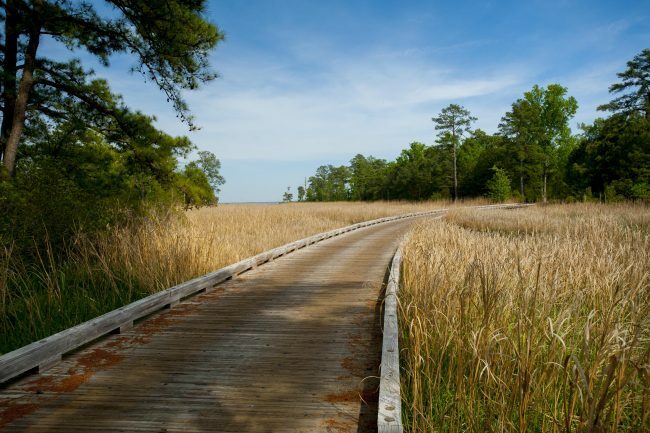 Prior to the 1607 arrival of English settlers, the area was ruled by the Powhatan tribe. 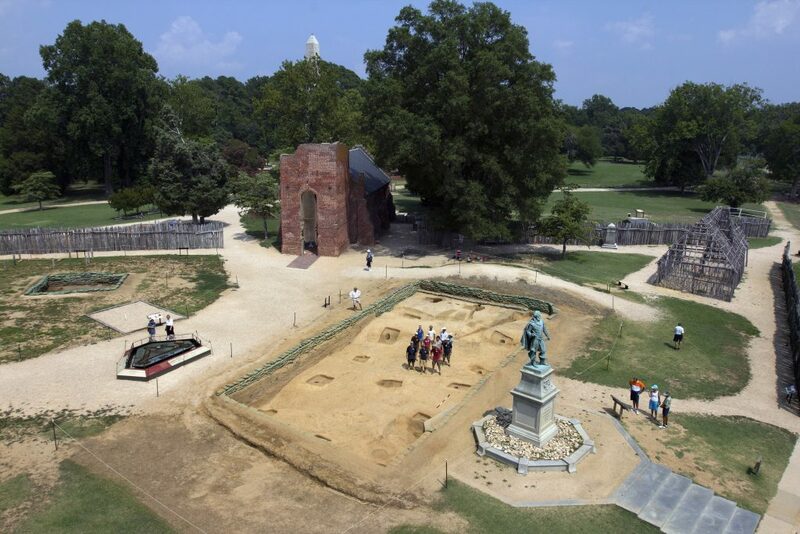 Following a troubled start, Jamestown became the capital of Williamsburg and the colony of Virginia until 1699. Historic Jamestowne (note the spelling), is on the site of the original James Fort that later became Jamestown. The town was the first permanent English settlement in North America, and quickly established itself as a significant tobacco producing outpost. 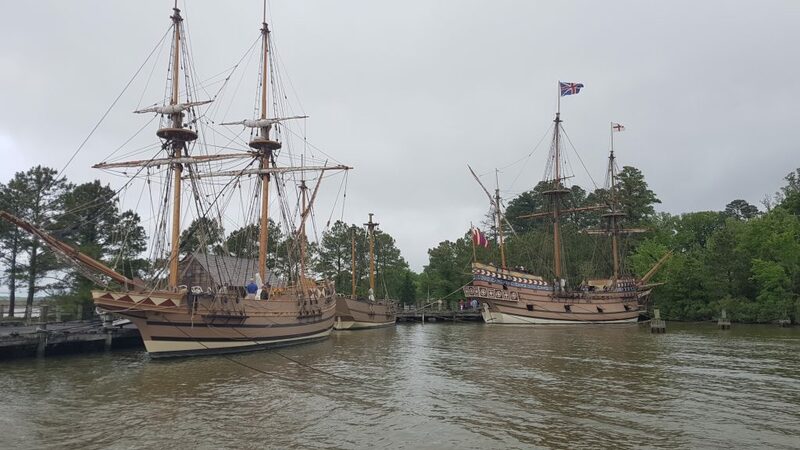 Visitors today should visit Historic Jamestowne as well as neighbouring Jamestown Settlement to discover what life was like for the pioneers of the era. 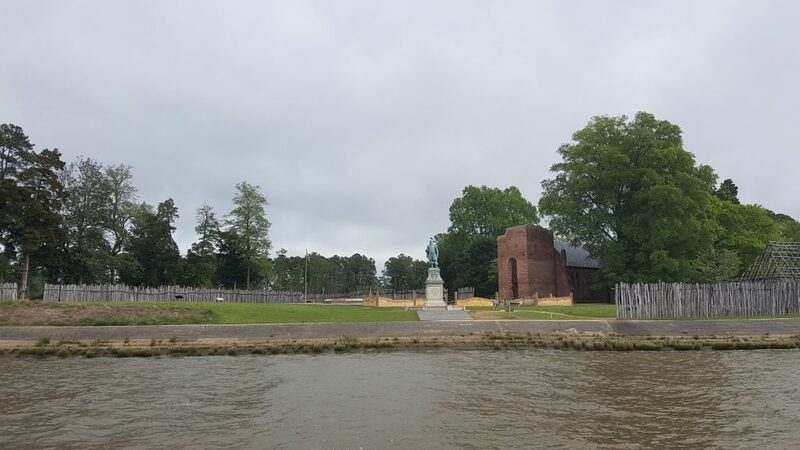 Local boat tours, as well as the Jamestown-Scotland Ferry route, offer a chance to experience the view of the area as the first settlers would have seen it from the James River. As the TV show Jamestown reveals, the main economy of Jamestown was tobacco, but there was one major stumbling block. The reigning monarch, King James I, detested tobacco and looked for the region to produce anything else. Unfortunately the climate and land (heavy in clay content), wasn’t really conducive to grow any other crop. The site remains one of huge archaeological significance. A number of digs continue to take place, especially on the site of the old church. Don’t be surprised if you see an excavation or two occurring when you visit the area. The image above is of the original church, built in 1608. A popular figure of modern culture, Captain John Smith was an experienced soldier when he arrived at the settlement. His relationship with Pocahontas as been explored in various films and TV shows. The 2005 Terrence Malick film The New World depicts the turbulent period, with Colin Farrell portraying Smith and Q’orianka Kilcher in the role of Pocahontas. Later we see John Rolfe (Christian Bale) marry the princess, and the alter at the front of this image is the exact spot the pair were wed. 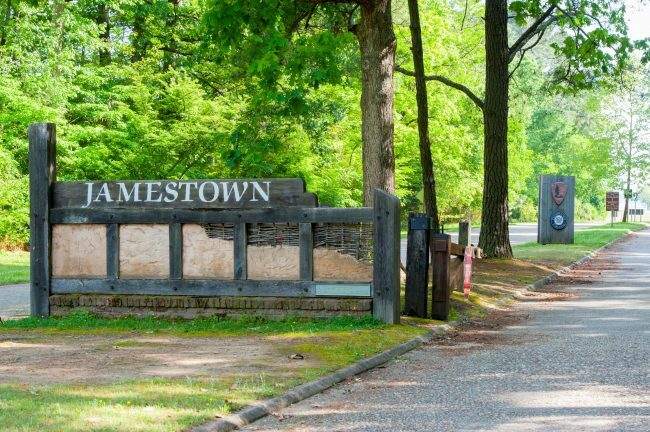 Right next to the site of the original fort is Jamestown Settlement, an interactive experience that allows you the chance to step back in time and relive what it was like to be one of the early settlers. 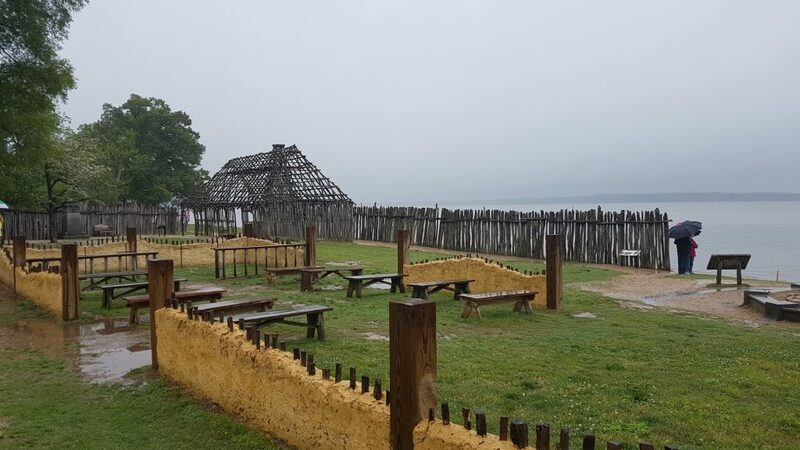 As well as a full-size reconstruction of the colonialists’ settlement, there is also a wonderfully detailed replica of a Powhatan Indian village, complete with reed-covered dwellings and based on archaeological and written evidence from the time. You can learn about the day-to-day lives of the native population, how they would construct their houses and even about their favoured mode of transportation – boats made from logs that were carved out using hand tools and small fires. There are also fully-functional settlement ships to explore. The Susan Constant, Godspeed and Discovery are moored on a pier and are based on vessels that left London in 1606 to journey across the Atlantic. 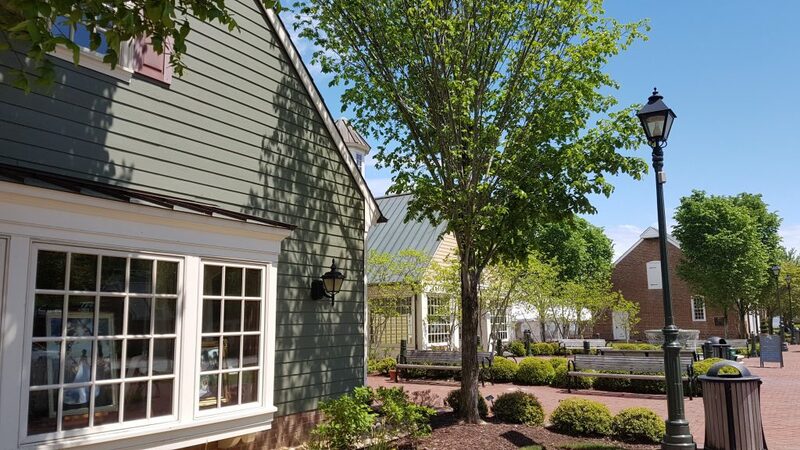 Noted for being a location of great historical importance, what initially takes you by surprise about Colonial Williamsburg is the sheer vastness of the area. The Historic Area thrusts you back into the 17th century, and you get a chance to experience what it was like for the generations that immediately followed the first settlers. 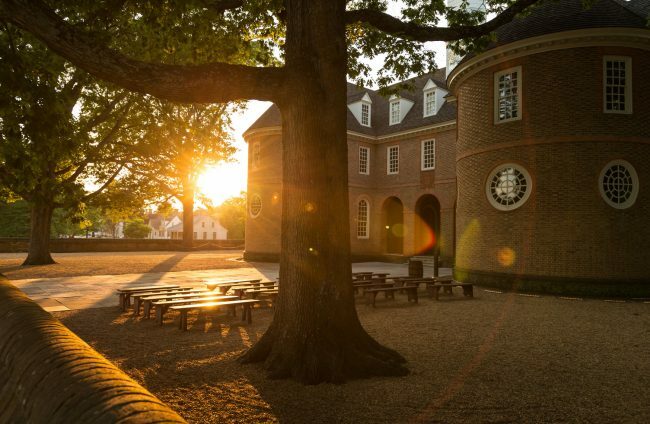 In the 18th century, Colonial Williamsburg was the capital of Virginia, home to the prosperous colonies and a seat of power for the British. Tradespeople would have worked the land, and when visiting, you can’t help but wonder if you could have coped with working life within the walls of the palace grounds. 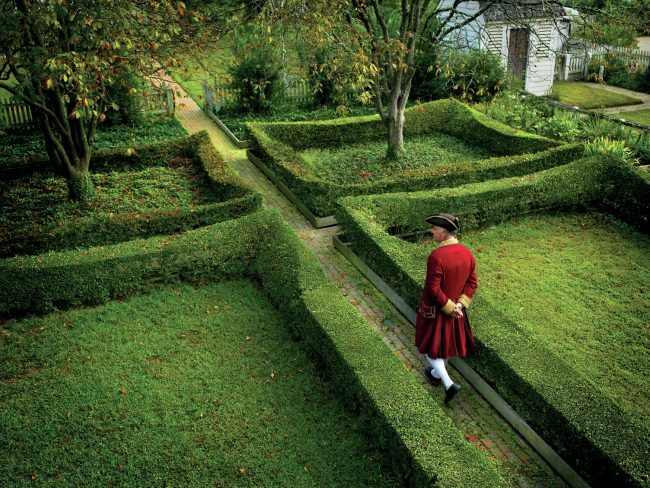 The gardens themselves belie the harsh conditions just a few miles away in Jamestown. There is a real sense of English pride in the way they are constructed, although you probably won’t want to admit that wandering around here. Thomas Jefferson and other significant individuals who went on to develop the nation will have walked the grounds here. 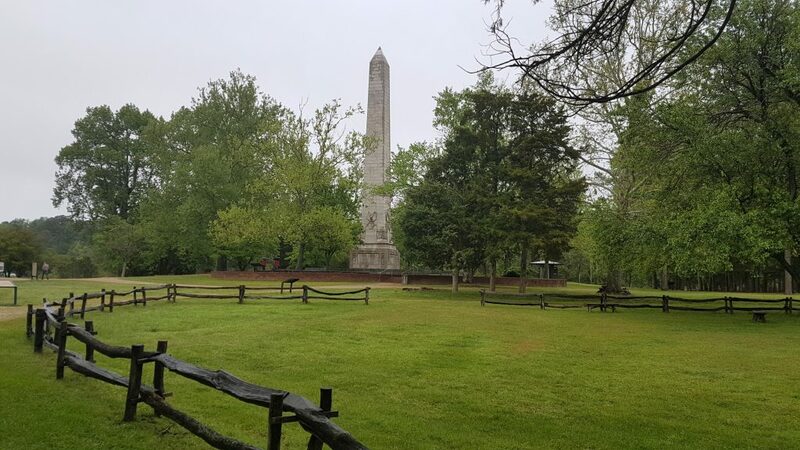 There is plenty to explore on your own, but do take advantage of the guided tours if you want an additional incite into what happened in the run-up to the Civil War. There is also a chance at a behind the scenes look at certain buildings not usually open to the public. Be sure to book in advance and check out the website for full details. Depending on how much of an authentic experience you are after, there are even historic taverns and inns to eat and stay in. Don’t forget, many of the people who work on the attractions themselves also stay in the houses on site. Colonial Williamsburg is a fully functioning city to this very day. 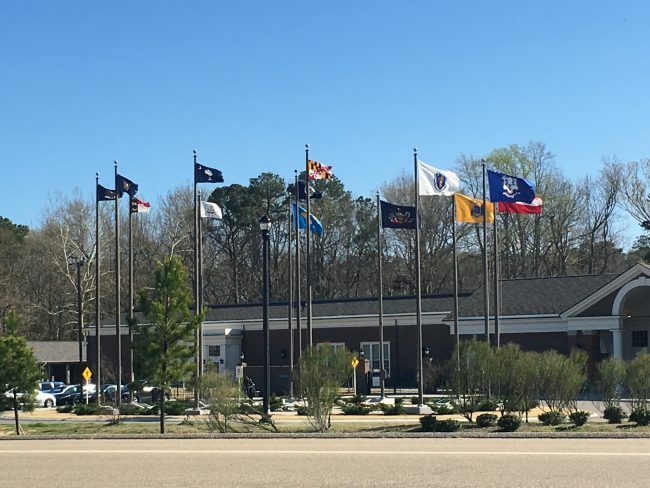 With flags of the 13 original states that ratified the Constitution flying in front of it, the recently opened American Revolution Museum, is still something of a hidden gem in Yorktown. Check out the revolutionary battlefield, complete with cannon fire and medical ‘experts’ who will talk you through some of the methods used to keep patients alive in the 18th century. Trust us… it was gruesome. The great thing about this museum, and one the deliberately sets it apart from other historically aimed sites, is the level of interactivity. You never feel like there are out of bounds areas or security guards waiting to pounce. Therefore, it can come as a surprise when you learn about the importance and fundamental significance of some of the exhibits. 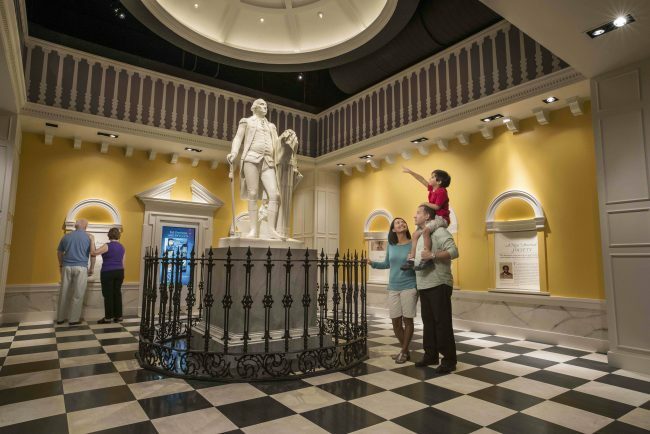 Inside, you’ll find a life-size statue of George Washington that was formerly exhibited at the U.S. Capitol stands in ‘The New Nation’, a section of the exhibition galleries chronicling the development of the United States’ government. Yorktown itself is a picturesque, quaint little village on the riverfront of the mighty York River. A great way to explore the area is by hopping onto a segway and gliding around the streets and riverfront.